Rockdale Opera Company is unique in that it is the oldest continuously operating opera Company in Australia, pre-dating the national company by nearly a decade. 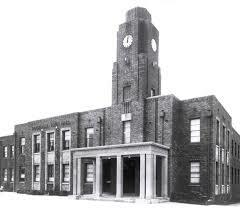 It was established by Rockdale Council as the Rockdale Municipal Opera Company in 1948, an extension of the Rockdale Municipal Orchestra, which the Council had established in 1946. The Opera's four founding members were important figures in Australia’s musical world: noted conductor Cedric Ashton MBE, cellist Rupert Orchard, tenor Alan Ferris and the celebrated pianist and accompanist Megan Evans OAM. The Company’s first opera production was Faust, followed by Carmen in 1949. Cedric Ashton remained as Rockdale Opera Company’s Musical Director until 1979 and it is fitting that the beautifully refurbished Town Hall auditorium has been named in his honour. The Company owes its continued existence to Councillor Ron Rathbone, OAM, who was Company Chairman for 22 years from 1972-1994. It was through his strong leadership that the Company survived and flourished. Rockdale Opera Company is administered by an autonomous Committee, which is responsible for choosing a program for each year. Our repertoire encompasses Gilbert and Sullivan operas, operetta and grand opera sung in English. The philosophy of the Company is to present productions of the highest standard to the local and wider communities at an affordable price. In addition, it aims to provide performance opportunities as well as production, musical and artistic opportunities to talented young artists. Over the years, Rockdale Opera Company has been a training ground for many famous Australian and international singers. These include, to name but a few: Daniel Sumegi & José Carbó (our Co-Patrons); Geoffrey Chard AM; Robert Gard OBE; Deborah Riedel; Rosalind Keene; Barry Ryan OAM; Doreen Morrow; Stuart Skelton; Jonathon Welch AM (famous as founder of the Choir of Hard Knocks); and SBS celebrities Silvia Colloca & Silvio Rivier have also performed with Rockdale. As Rockdale Opera Company ventures into our 8th decade, the Company is looking forward to many more years of bringing music and theatre to our valued customers.